Figure 2-9. Horizontal swing shafts (left and right), removal and installation. Figure 2-8. 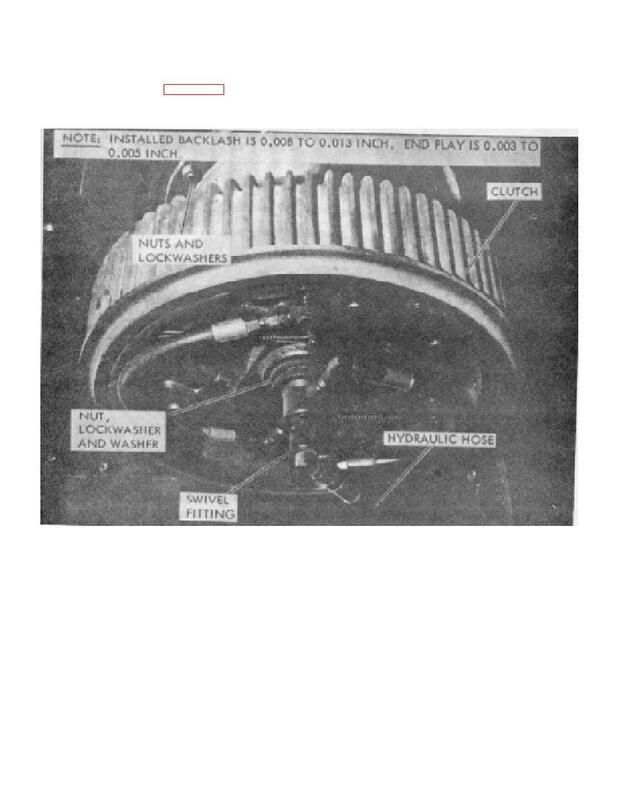 Reversing shaft assembly, removal and installation (sheet 2 of 2). Figure 2-10. Worm shaft assembly, removal and installation. chain off the swing drive sprocket. the left and right shafts is identical. DISSCONNECT HYDRAULIC HOSE AT SWIVEL. PLUG HOSE AND SHAFT HOLE IMMEDIATELY. REMOVE NUT, LOCKWSHER, AND WASHER. REMOVE CLUTCH AS A UNIT. SUPPORT ASSEMBLEY WITH SUITABLE LIFTING DEVICE. REMOVE NUTS AND LOCKWASHERS. REMOVE HORIZONTAL SWING SHAFT ASSEMBLY.